Children really love water and if you are going to encourage them to participate in a water sport this summer provide them with the best kids summer wetsuit. We sell only the best branded wetsuits which are competitively priced compared to the cheaper and less durable wetsuits out there. The cheaper brands use low quality neoprene which doesn’t provide a good fit. Our kids summer wetsuits are made with the highest grade neoprene and the softest jersey to provide top quality comfort and fit. Our entire range of kids wetsuits come with Free UK and EU delivery. If you would like advice regarding kids wetsuits, please feel free to contact our expert staff for some great advice.  Why Use Sorted Surf Shop For Your Children's Wetsuits? Having over 15 years experience in providing wetsuits for kids we really do know what are the best wetsuits to buy. We also run a surf school and this has given us an even greater knowledge of what are the warmest and most durable suits on he market. When buy your suit a few things to consider is how long will they be in the water for and is it just recreational use or are they more serious about there sport. If it is only going to be a general beach use suit for surfing or bodyboarding then an entry level suit such as the O'Neill reactor will be more than enough to keep them happy and having fun. If they are a little more serious and want to be in the water as long as possible then taken a look at the O'Neill Epic 3mm wetsuit as this has high grade neoprene and features thermal lining for warmth. It certainly is the case that the more you spend the better the fit will be as the neoprene is of a much higher grade. This is always a tricky one for a parent as we all know that children grow at such a rate that you want the most you can from the garment. However you need to be aware that buying a wetsuit that is to big can lead to them becoming cold as water will sit on the lumber region and cool down there kidneys making there whole body cold. A little bit of room is fine but check above the bum and if you can pull a lot of material away from the body this is not going to be good for keeping them warm. The key measurements when buying the suit is the chest and waist as these make for the best fit. You can of course call us for helpful advice on what size to buy for your kids.